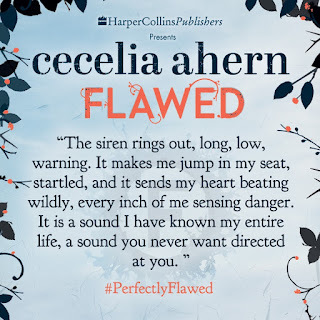 BleachHouseLibrary.ie: Blog Tour - "Flawed" by Cecelia Ahern. Review and Goodie Pack Giveaway. 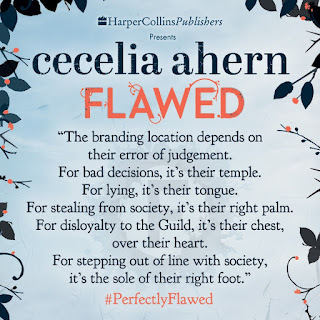 Blog Tour - "Flawed" by Cecelia Ahern. Review and Goodie Pack Giveaway. I have a limited edition goodie pack to give away to one lucky reader, thanks to the lovely people at Harper Collins. To enter, just enter via rafflecopter link below. Good Luck! "I am a girl of definitions, of logic, of black and white. Remember this." So begins the YA debut of Cecelia Ahern. These are the words of Celestine North, a teenage girl who is on the cusp of womanhood. She has an average life with her middle class family, an adoring boyfriend and a love of mathematics and structure. A bright young thing, with her whole future ahead of her, one chance moment on public transport brings her whole world to another level. 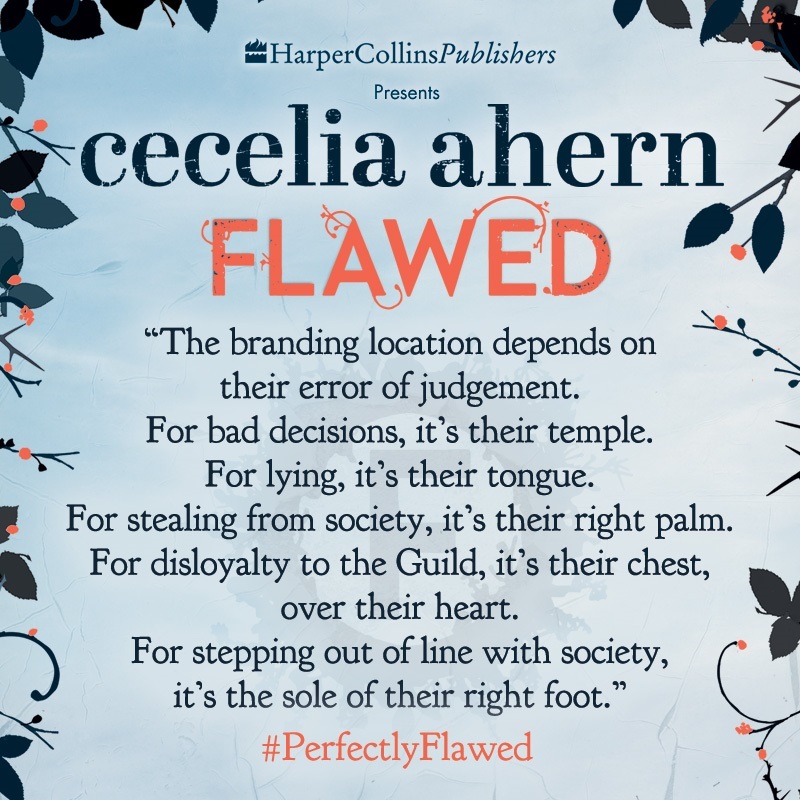 She is now 'Flawed' and her life no longer belongs in the realm she grew up in. Suddenly she is public property and her every move is monitored for media scrutiny. 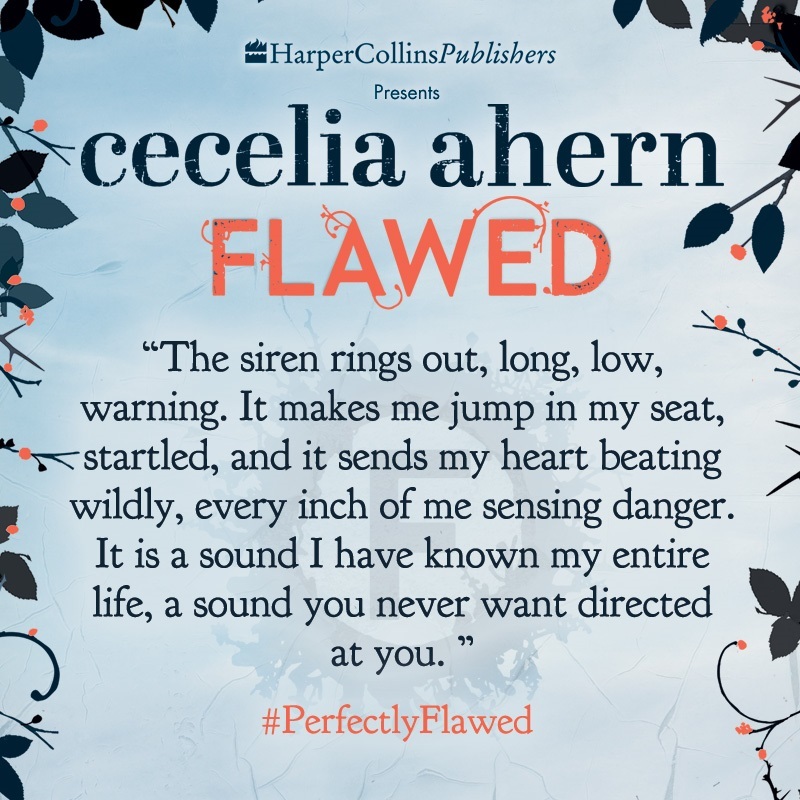 Can a girl who has been flawless her whole life survive in the world of the Flawed? "The Flawed are regular citizens who have made moral or ethical mistakes in society." In this fictional city, there is a new way to rule. Previous Governments have made a mess of things, so the citizens decided to take matters into their own hands. They introduce The Guild, a committee made up of judges, who are the new leadership,deciding who is 'flawed' and how they should be punished. The repercussions of being found guilty are permanent ones. The guilty shall be branded for life and find their movements restricted. Like the Jews in Nazi Germany, they must wear armbands displaying their 'shame' and while they are not imprisoned, they are constantly undermined and treated as second class citizens. The problem with all this 'morality policing' is quite simple. It is extremely subjective. If the head Judge wants his way, he will get it. End of. This becomes a problem for Celestine when she shows respect to a 'Flawed' man on the bus and has to face the consequences. While Judge Crevan is a family friend and the father of her boyfriend, Art, she suddenly sees herself being used to set an example to the whole county. Her trial seems rigged from the start and pretty soon everything she has believed in is being called into question. 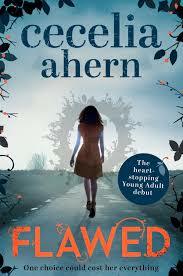 This is Cecelia Ahern's first YA novel and she enters the genre with a bang. Celestine is a good girl, trying to find her footing in the adult world and, like any young woman, is bound to make mistakes. But this is another world. A world led by peers rather than politicians. When a country learns to mistrust a government, and hands over its administration to a chosen few, it is fraught with its own problems. 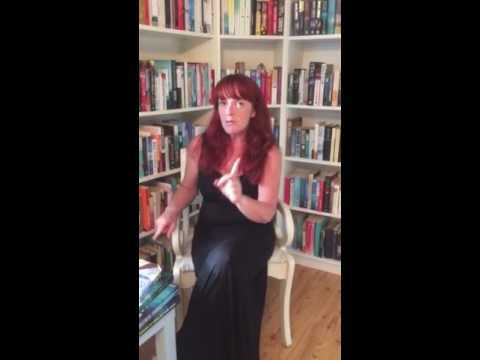 The author has bravely addressed this concept, through the eyes of a young adult, rather than the daughter of our former Taoiseach of Ireland. Idealism is always hovering around the minds of teenagers and this novel shows how 'forward-thinking' can actually backfire tremendously. The scenes of torture involved with the branding of citizens are graphic and memorable, bringing shadows of Nazism to the readers mind. The Guild are indeed terrifying party, with 'show-trails' and pre-determined sentencing echoing Stalin's regime. But, at the heart of this book, there is a young woman who can finally see what her world is made of. The secrecy, the lies and the hidden agendas of people in power. Not so different to the government her people pushed aside. Madeleine L'Engle was my favorite for a long time. Loved The Accidental Life of Jesse Jefferson by Paige Toon. Kimberley Griffiths Little is my current favorite in YA. Jennifer Niven is one of my favorite YA authors. I am a bookworm in need of more awesome books to devour! Just finished reading Perijee and Me ( a middle grade novel ) so much fun!! I love David Levithan's work. His books capture first love so perfectly. I've read several Cecelia Ahern but thought about giving this a miss as it's YA, but now reconsidering after your review.